Researchers at the Geophysical Laboratory have developed a technique for improving the properties of diamond, simplifying the process of making high-quality diamond for scientific applications, electronic components, cutting tools, and even quantum computers. The results are published in the current Online Edition of the Proceedings of the National Academy of Sciences. Impurities and defects in diamond can be purged by annealing, but this can turn diamond to graphite. In order to prevent graphitization, diamond treatments have previously required high pressures (up to 60,000 times atmospheric pressure) during annealing, which is costly and limits the size and quantities of diamond treated. 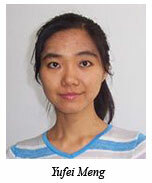 Yufei Meng and colleagues used CVD to grow diamond in their experiments. 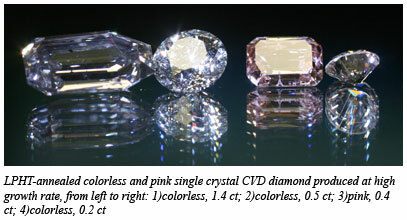 Unlike other methods, which mimic the high pressures deep within the earth where natural diamond is formed, the CVD method produces single-crystal diamond at low pressure. The resulting diamond, which can be grown very rapidly, have precisely controlled compositions and comparatively few defects.